Freedy Johnston has always been one of my favorites; he, David Mead and Josh Rouse have comprised my "holy trinity" of singer-songwriters. While Rouse has been over-prolific and Mead has been about just right, Freedy hasn't put out an album of new, original studio material since 2001's Right Between The Promises. At long last, his site promises a new disc of original material (Rain On The City) which he presumably is in the studio recording. In the meantime, he's finally released his long-rumored disc of covers, My Favorite Waste of Time. Freedy's a natural for covers, with his everyman type of voice and appreciation of pop music history. He's long been known for his liberal use of covers in live shows, he's teased us in later releases with a few. Promises' leadoff single was a cover of the Edison Lighthouse classic "Love Grows", and the hard-to-find Live at 33 1/3 included covers of the Hollies' "Bus Stop" and the Cole Porter chestnut "Night and Day", the latter two of which appear in studio form here. My general policy on covers albums has been that the artist shouldn't be content with note-for-note and inflection-for-inflection reproductions, but rather bring something of himself to the album; in other words, to make the songs his own and of a piece with his original material. In most instances, Freedy accomplishes this task. The disc opens with the title track, Marshall Crenshaw's oft-covered B-side. Freedy's contribution here is to speed up the tempo a hair and to add a punchy guitar solo in the bridge; it would have fit nicely on Promises with the "Love Grows" cover. I have to confess I'm not familiar with the original of NRBQ's "I Want You Bad", and as a result it sounds to my ears as a Freedy original circa his brilliant 1997 disc Never Home, akin to tracks such as "I'm Not Hypnotized" and "He Wasn't Murdered" from that disc. An enjoyable version of the Bacarach-David classic "Do You Know The Way to San Jose?" follows, and it would take some real work to murder that number, which Freedy thankfully doesn't - in fact, he adds a bit of a Latin beat to it and it almost comes across as something that could have been on one of Rouse's post-move-to-Spain discs. Another highlight is the somewhat out-of-left-field cover of Don Henley's "The Sad Cafe" from the Eagles' Hotel California The Long Run. Freedy really captures the beauty in the track that Henley's larger-than-life persona might tend to overshadow. For the true connection to power pop on the disc, there's a cover of Matthew Sweet's "I've Been Waiting", with the added touch of horns. Also interesting is Tom Petty's "Shadow of a Doubt (Complex Kid)", which Freedy also makes sound like a Never Home outtake. The new version of "Bus Stop" (which was solo guitar on 33 1/3) has horns and an electric sitar, a nice touch, and a loungy, almost bossa nova version of "Night and Day" closes things in fine fashion. The only missteps here are the pair of McCartney covers which appear back-to-back in the middle of the disc. Freedy's "Listen to What the Man Said" is OK, but a little too note-for-note for my tastes. But the real problem is "Let 'em In". As much as I love Sir Paul, it's not exactly a reach to say he could write some of the most banal lyrics ever, getting many of these type of tunes across on his sheer charisma, charm and star power. "Let 'em In" may have the been the most banal of them all, and with all due respect to Freedy, he's no McCartney in the charisma/charm department, so it comes off just as silly as Joe Posnanski found it (scroll down to the italicized text following the first asterisk). 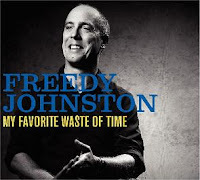 Nevertheless, this is one of the better covers albums I've heard in quite a while, so if you're any kind of Freedy Johnston fan, or just love several of the tracks here (aside from "Let 'em In"), head on over to his official site where it's available exclusively and pick up a copy. Unfortunately, there aren't any samples on his site (or elsewhere), so you're going to have to take my word on this one. CD of the Day, 2/27/08: The Dress Whites-My God, The Shame! Toronto's (by way of Montreal) The Dress Whites are a band that defies categorization. Blurring the lines between power pop, indie pop, and rock and roll, their debut full-length My God, The Shame! is an instant winner that will appeal to anyone who likes good, tuneful music. After the instrumental opener "A Liberated Woman Will Destroy Us All" (which along with the closer titled "O'er The Transom of the Susan Constant" which might lead you to believe you've stumbled across a Decemberists disc off the titles alone), "Give Up The Ghost" kicks in with an upbeat melody, stacatto guitars and a call-and-response chorus that lets you know you're not in Kansas any more. "Spongecake" and "A Great Assault #8" are power-popping numbers that recall The Shazam, while "The Whale" and "Blood Work" keep up the pace in a Fountains-of-Wayne-meet-the-Rembrandts way. Meanwhile, "Two Times The Hurt" is a straight-ahead power pop gem that recalls fellow countrymen Sloan. So get fancy and put on The Dress Whites; there's no shame in enjoying this one. 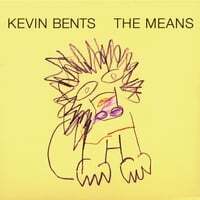 It's been a while since I had some quality singer-songwriter pop to recommend, but thanks to NYC's Kevin Bents, I no longer have to wait as his solo debut The Means is an assured collection of melodic gems that will appeal to fans of David Mead, Freedy Johnston and Josh Rouse. Bents has worked with Mitch Linker and the Day Traders as well as Saul Zonana, so he keeps good company. Opener "Givin' It All Away (For Jeff)" is a nice acoustic number, but Bents really hits it out of the park with "Heart of Hearts", a lovely pop tune with a kind of Bacharach feel. The more rocking "My Love Save The Day" follows with a sound reminiscent of his buddy Zonana and has the instant catchiness that would make it a hit in an alternative universe that appreciated this kind of music. Elsewhere, "Fool on the Moon" is a pretty Beatlesque ballad, "Writing on the Wall" is a peppy uptempo number that has a hint of R&B, and "Good Life" is one of the better Donald Fagen/late-period Steely Dan tributes/pastiches/soundalikes that you'll hear (the auctioneer that appears two-thirds of the way through is an interesting touch). It's an excellent record from a real talent, and here's hoping you'll find The Means to pick up a copy. Not Lame has a blog! The good folks at Not Lame have started their own blog. It's updated a bit sporadically at the moment, but there's some good stuff in there in the month or so they've been up. Check it out! 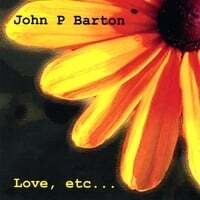 It seems like I've been coming upon quite a bit of very good piano pop lately. 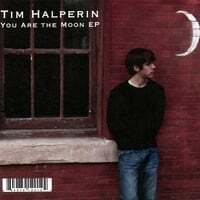 Fresh on the heels of the fine Ian Axel EP from late last year, here comes Fort Worth's Tim Halperin with his debut EP, You Are The Moon. Ben Folds is the obvious point of comparison here, and Halperin resembles Folds (as well as Justin Levinson) vocally. The title track would have fit nicely onto Whatever and Ever Amen with its scruffy amiability, while "What I Want" has a 70s vibe and "Nice to Be Free" adds some guitar virtuosity to the mix. 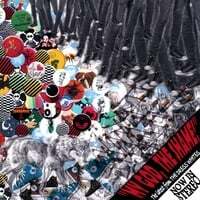 The Coldplay-inspired "We Can Make It" caps off the disc. If you're a fan of the piano pop subgenre, Tim Halperin is definitely worth your acquaintance. In this day and age of a surfeit of music available on the internet and elsewhere, it's impossible to be comprehensive, no matter how detailed a niche you concentrate on. 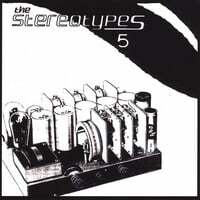 Or to translate it into simpler terms: I'm still finding great releases from 2007 that I missed during the year. It's almost getting to the point that I'm going to have to revise my top 125 list in a couple of months or so. The latest overlooked 2k7 gem is the self-titled debut full-length from Minneapolis' Charlz Newman. 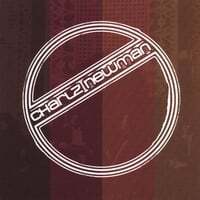 In the tradition of Jethro Tull, Charlz Newman is a band with a person's name, rather than the other way around. Named after band leaders Mark Charles and Brian Neumann, Charlz Newman has crafted a power pop tour de force. From the opening Cheap Trick-style raveup "Craven Raven" to the loungy piano pop (a la Randy & The Bloody Lovelies) of "Lie Berry" to the Superdrag-style rock of "In The End" to the midtempo power pop of "Cheque Inn" and "True" to the antemic "Burn Your House Down", they pull it all off. They've caught the attention of the music biz as well, as they've opened for acts like Nickelback and Bon Jovi. But we won't hold that against them. Being a double album and all, Robert Harrison's Future Clouds and Radar was a mixed bag, although with enough highlights to place it highly on my top 100 of 2007 list. And to me this was the biggest highlight, one of my favorite tunes of the year. If there are any other artists I missed that you think would be of interest, please note them in the comments. Now here's a blast from the past. Darren Cooper and Three Hour Tour have actually been around since 1989, but have been dormant for the last 10 years (stuck on Gilligan's Island, perhaps?). 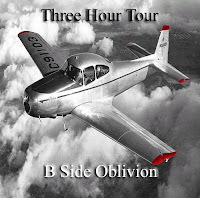 So it was a nice treat to see them release B Side Oblivion early this year. 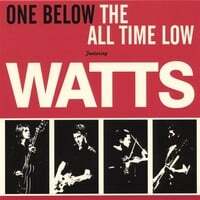 Despite the title, this isn't a collection of B-sides, rarities, etc. - it's 10 new power-poppin' tracks. Cooper really enlisted the help here - Adam Schmitt plays bass, and Velvet Crush's Paul Chastain and Ric Menck add bass and drums, respectively. 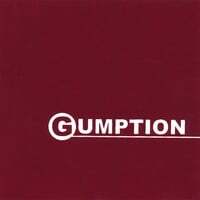 If you're a fan of Schmitt or Velvet Crush (or a fan of quality power pop at all), this one's a must-get. "I Wanted You Around" has just the right measure of guitar crunch and melody that reminds me you why power pop is your favorite genre; "A Girl That I Once Knew" is the kind of midtempo track you'd get if you combined Badfinger and Eric Carmen; the slide guitar that propels "Lonely Place" along is worth the price of admission; the title track recalls Tom Petty's Wilbury-era stuff; and "Easter Basket Grass", while likely being the first song ever to mention the product, is also a great rocker. It continues to get easier and easier to come up with an early Best-of-2008 list. At the risk of sounding too technical, it can be said that some artists just have "it" - "it" being a certain sound, or a way of coming across that sounds natural, effortless, and authentic. 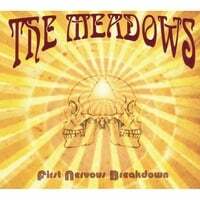 The Meadows have "it", and their sophomore release First Nervous Breakdown is more of their radio-friendly pop/rock that you'd hear on the radio if it were friendly to independent pop/rock acts. 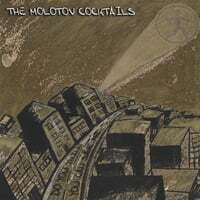 Following up on 2005's excellent self-titled debut, this San Francisco band ups the ante here with 10 gems that will appeal across the pop/rock/country spectrum from fans of Oasis to The Jayhawks to The Gin Blossoms, etc. Opener "Knowing Don't Change a Thing" is emblematic of their sound, in a kind of a Tom Petty-meets-The Rembrandts way. "Wheels on the Road" is enjoyable country rock with a chorus reminiscent of "Already Gone", while "Paralyzed" is a slow-building piano ballad that reminds of the some of The Nines' slower numbers. Meanwhile, "Give It Up" wears its anthemic Oasis sound on its sleeve, "Take Me Down" is top-shelf jangle pop, and the closer "Forever California" truly embodies the sound of their home state. An instant top 10 of 2008 contender. If you head over to their site, and join their mailing list, and promise to tell 5 friends (I'm taking care of that promise right now, in spades), you can download Love Survives, the latest disc from the Nashville band Brother Henry. Described as a "southern Crowded House with a cello", the brothers Henry (hence the name) have worked with R.E.M., Ben Folds and David Mead among others, and Love Survives is some fine roots pop. If you want to listen before signing up, check the disc out at CD Baby. The last year or so has been good for boy/girl indie pop bands. While the New Pornographers are the exemplar of the subgenre, recent releases by such acts as Georgie James have been outstanding as well. Which brings us to The Cheeksters, the latest entrant into this derby, and their fine new disc Movers and Shakers. 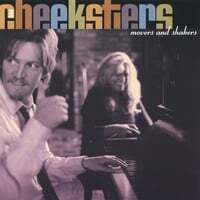 The Cheeksters are the Asheville, NC duo of Mark Casson and Shannon Hines, and this is (by my count) their fifth disc. Casson is originally from England and he brings a natural British pop sensibility to their work, which is apparent off the bat with the infectious "What The Pretty Girl Did", a kind of Kinks-meet-Merseyside bouncy number. The ragtime-y title track follows and continues the disc's appeal. Other standouts include "The Top of the Tree", in which Casson channels Gilbert O'Sullivan; the anthemic "Waiting in the Wings", swelling strings and all; and "Love Hearts In My Eyes", in which Hines contributes a sultry vocal over a winning indie pop beat. So move and shake on over to the links below, and check 'em out. First things first. Sheboygan is not from Sheboygan, Wisconsin. (Or as the English would say, Sheboygan are not from Sheboygan, Wisconsin. Why is it that the English treat singular nouns that refer to a collective entity, such as a sports team or musical group, as plural when it comes to subject/verb agreement? I'll never know). 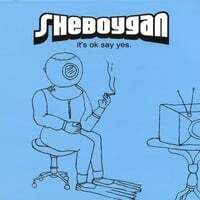 They're actually from Austin, Texas, but what Sheboygan lacks in geographic accuracy they more than make up for with great power pop, as their full-length debut It's OK Say Yes realizes the promise of their 2004 self-titled debut EP, itself an overlooked gem. One thing Sheboygan has going for them on this disc is that they feature two equally talented songwriters, always a good thing in a band (cf. Sloan, Fastball, XTC and some guys called The Beatles). Here it's Chris Gebhard and Cory Glaeser. Glaeser, who wrote all the songs on the debut EP, is the more traditional power-popper of the two: alternating crunchy-guitar based numbers a la Matthew Sweet such as "The Stars and the Moon" and "Got No Game" with piano and keyboard-based tracks like "Everybody Knows" and the absolutely fab "Birth of Venus". Gebhard, meanwhile, has a more languid pop sound: "Star Child", "Dream" and "I Got So Sleepy" are Cloud Eleven crossed with Jellyfish, while "Time Machine" has a jangly, Teenage Fanclub sound. The combination of the two (who generally alternate tracks on the disc) makes for an outstanding album and an early best of 2008 contender. If they keep making discs like this, they can call themselves Yeehaw Junction for all I care.